Jennifer Berkley Jackson is passionate about creating connections between companies and their customers. Jennifer works with clients to determine the appropriate research methodology to use to address their objectives and then executes the research plan flawlessly whether it involves development of survey/interview scripts, conducting interviews, analyzing data, or presenting results. Prior to entering the consulting world, Jennifer served in a number of critical roles across functional areas within a leading training/consulting firm, developing exceptional project management skills and a holistic view of business issues. Throughout all of her work, Jennifer brings a strong commitment to showing organizations the link between increased profits and a commitment to making key business decisions with customers’ current and emerging needs and desires in mind. 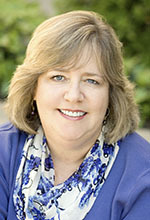 Jennifer is a long-time board member for Women in Consulting (WIC), is an active member of Qualitative Research Consultants Association (QRCA), teaches The Power of Market Research at UCSC Extension Silicon Valley, and has a Marketing degree from San Jose State University.